There is no denying that attached garages are by far the leakiest rooms in most homes. They are often extremely cold in the winter (and hot in the summer) and lose most of their heat through poorly insulated garage doors. Upon noticing the problem, many people wonder if they should invest in garage door insulation. 1. Should You Insulate Your Garage Door? To cut straight to the point, most building contractors will advise you not to worry about insulating your garage door. Normally, the more insulation in your house the better. Insulation helps keep your home warm in the winter and cool in the summer. With garage doors there are a few problems as far as insulation goes. First of all, an attached garage with a garage door is by its very nature not airtight. Creating a nearly airtight room is the key to establishing a well-insulated building enclosure. 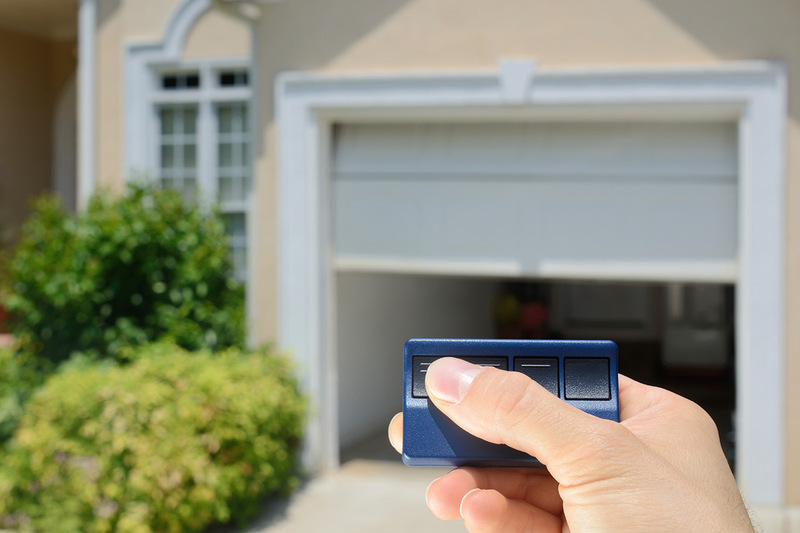 A garage door is one of the farthest things from airtight because the contact edges and door panels are extremely leaky to begin with. Even if you do install foam board (or fiberglass batts) on the door panels, you won’t achieve much. These areas will still be leaky and this insulation will be prone to chaffing and failure in a relatively short period of time. Installing a well-insulated garage door to begin with is a tactic some people use. While this is a huge improvement on DIY insulation, your garage is still likely to be leaky (plus it costs a lot). The concrete slabs that most garages are built upon, as well as their walls, are often not given the time of day that other rooms in a house are when it comes to insulation during construction. Garages are often considered intermediate spaces and are not insulated in the proper fashion. 2. Do You Have a Room Over Your Garage? While most experts agree that garage door insulation isn’t needed in most circumstances, they turn their opinion around if a room is built on top of an attached garage. If you have a room like this, you might notice that its temperature fluctuates much more than other rooms in your house. This is likely because your garage is poorly insulated and the room is losing heat through it because of shared boundaries. It is necessary to think of the walls (usually the ceiling/floor) that are shared between the room and garage as part of your home’s thermal boundary. Installing the proper insulation between these boundaries is the key to conserving more energy. 3. How do I Insulate My Garage? As is mentioned above, insulating your garage often won’t have much of an effect due to the way they are built. However, many people still desire to do what little they can by adding garage door insulation. Adding insulation is easy by installing insulation panels (two inches thick or more) on the door panels as well as sealing on the contact points. A rubber seal where the door meets the ground is also a good bet. Though there are insulation kits specifically designed for garage doors, you are often better off buying sheets of insulation and cutting them to size yourself. The bottom line here is that, yes, garage door insulation will help, but it will not completely fix the problem of heat loss. To do that you would need to introduce an outside method of heat (such as a heater) to actually heat up your attached garage first.